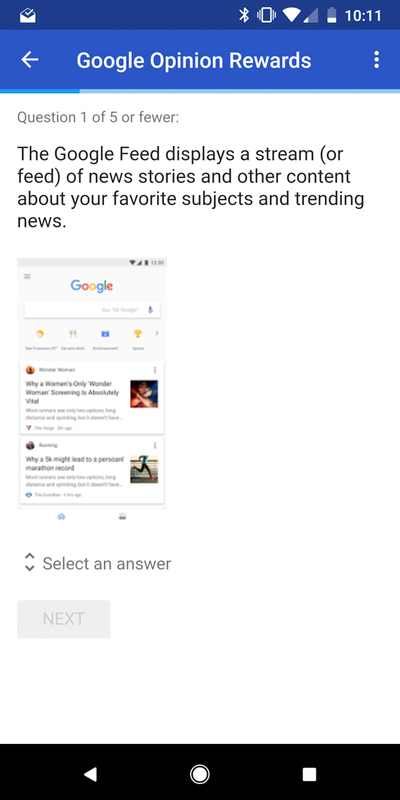 As you may have guessed, because I’m an opinionated a-hole at times and have already told you how terrible I think the Google Feed is, I took great pleasure it letting Google know just that. I don’t know that my answers will help Google in giving me more control over the Feed and what it shows, but look, sometimes all that matters is that you get to officially tee-off on a big corporation’s product as if you owned the man for a minute. Here were the questions, by the way. As you can see here, Google asked if I knew what the Feed was, which I do. The survey then went through a series of questions, the first of which asked if I was satisfied (Q2). Hah…haha, no, I’m not. 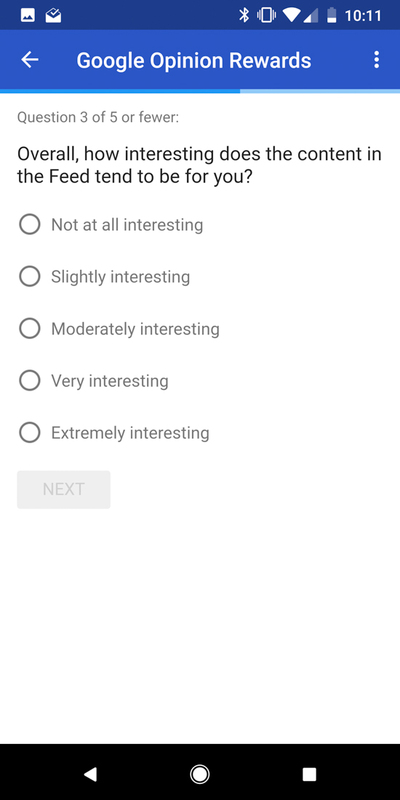 I also don’t find much of the content very interesting (Q3), because I’ve likely already read it somewhere else, which would mean I don’t think it belongs (Q4). 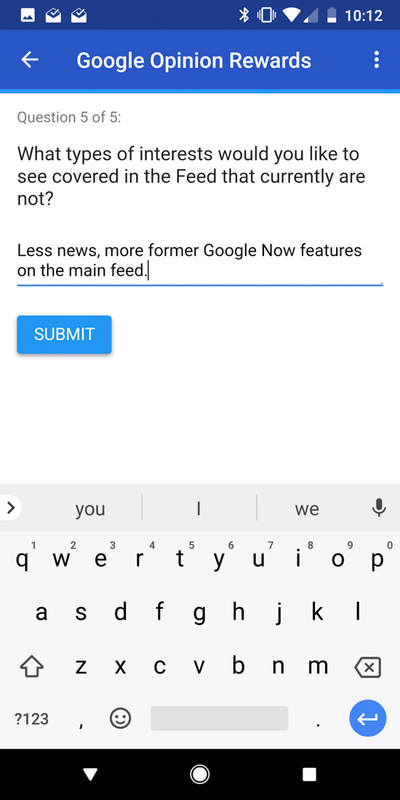 Unfortunately, the Feed survey didn’t ask if I thought that Google should kill it with kindness and give us back the old Google Now, but I went ahead and told them in the final comment box. Because of course I did. 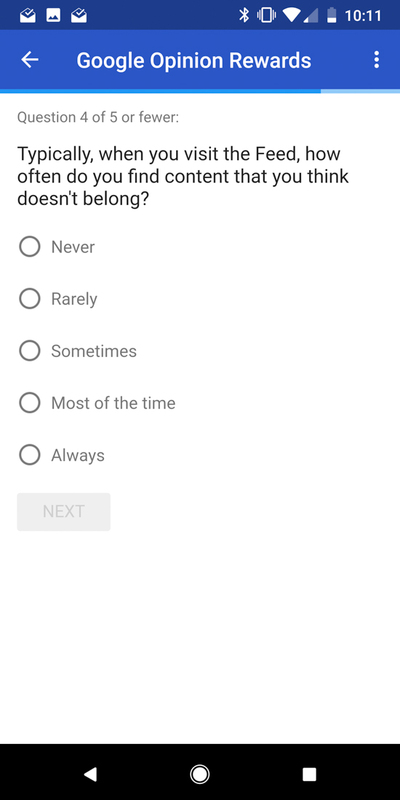 I hope you also all receive this same survey and do the work you were put on this Earth for. 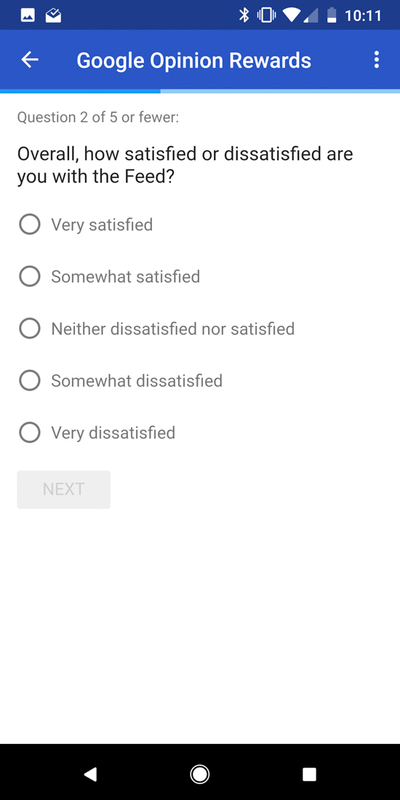 Note: Also, don’t forget to sign-up for Google Opinion Rewards for that fresh, free cash. 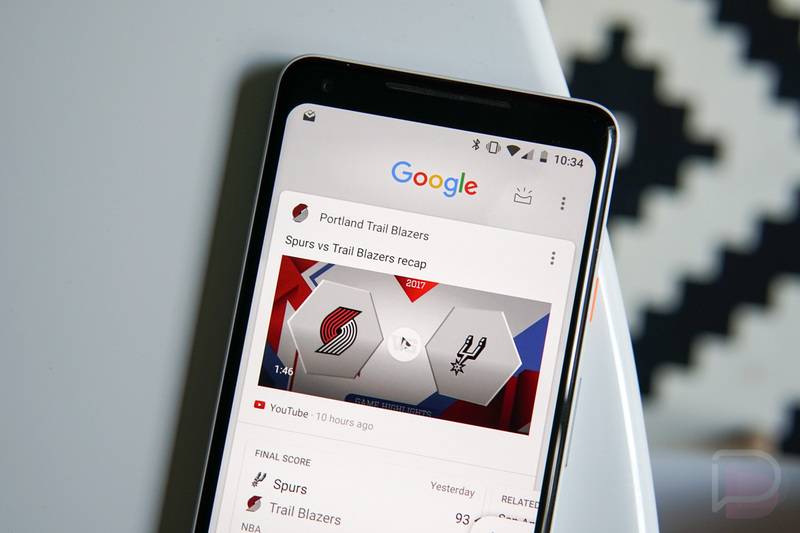 Question of the Day: Pixel 2 Crew, How's Life Without a Headphone Jack?